But it is a difficult read, even for native speakers. Every German company, partnership and association must be officially registered in the Handelsregister (Commercial Register). In contrast to England, where this information is collected centrally by Companies House, Germany uses a decentralised system. The “original” records of a company are kept at the respective local District Court (Amtsgericht) where the company has its official seat. This legal seat does not necessarily need to be the actual place of business. Why is “original” put in inverted commas? Because in real life the documents are not sent to the courts as hard copies anymore. The task of verifying whether the information is correct, resolutions have been properly taken and the acting persons have been properly identified is delegated to the German notaries. If a company is newly established or if an existing company needs to report any relevant change (i.e. capital increase, change of directors, change of shareholders, name change, relocation etc) this information is recorded before a German notary who then submits the deeds and other documents to the competent District Court by using an internal electronic filing system. The court officials (Registerrichter, i.e. registry judges) countercheck and then put the information in the Commercial Register. It usually takes about three to ten work days from the time of making the resolution before the notary until this information appears in the official commercial register. In complex cases like mergers or large capital increases it may take significantly longer. 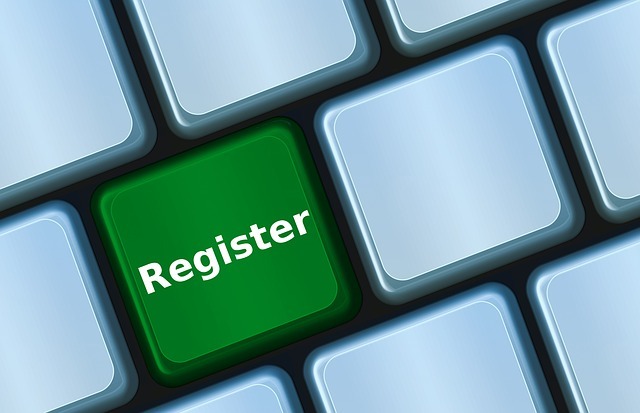 While, technically, there are various specific registers, the name Handelsregister (Commercial Register or Trade Register) is mostly used as umbrella term for all of them. In addition to the Handelsregister (in the classical meaning), which lists all business companies, corporations and business partnerships (Aktiengesellschaft, Gesellschaft mit beschränkter Haftung, Offene Handelsgesellschaft, Kommanditgesellschaft), there is also the Partnership Register (reserved for professional partnerships like law firms, tax and accountancy firms, medical practitioners etc), the Genossenschaftsregister (for cooperative societies) and the Vereinsregister. (for associations, usually non-profit oriented). How to obtain official company information in Germany? If someone needs to obtain reliable information on a specific company, how do they know which of the 810 German District Courts keeps the records of the company that they are interested in? That’s easy: the website www.unternehmensregister.de is the official central database of all 810 local Commercial Registers and is also available in an English version (the content of the register is however still in German). This website allows a general nationwide search. Furthermore, every company is obliged to show the basic information on their official correspondence (emails, letters) and website. If a company fails to do this it can be fined and – this hurts a lot more – can be sued by a competitor for unfair competition. To those who know how to use it, the free website www.unternehmensregister.de already provides a lot of useful information about a company, but not everything. Some details (for example a list of shareholders, company statutes, company accounts etc.) are only available for a fee. Furthermore, the core information on the company itself, while being available, is displayed in a rather confusing manner, since the entries are shown as they have been sent to the Commercial Register. So one sees many bits and pieces of information and has to click through all the individual entries (many of which will be outdated). Therefore a German business lawyer will in most cases request an official Commercial Register extract (which is available for a fee around 10 EUR). This extract paints a much clearer picture because it provides all the information (including the company history of directors) in a clearly laid-out chart. For official use vis-a-vis courts, for example in probate matters or litigation, one needs to obtain a certified extract (easiest through a notary or consulate). If the document is to be used in a foreign country it will have to be apostilled by the court. What does a German commercial register extract look like? Here is a simple one page example of a real trade register extract (chronologischer Handelsregisterauszug) of the German limited liability stock corporation “Company Projekt AG” (PDF-Download-HRB). This extract is easy to read since the young corporation has had a very calm history so far. The extracts of long established businesses are usually much longer. The document shows that the corporation was established by shareholder resolution on 18 Feb 2013 with a share capital of 51,000 EUR. It was entered in the commercial register on 2 April 2013. The initial company director Mr Grünauer was replaced by Mr Werhahn in July 2013. A very common misunderstanding for first time readers of a German commercial register extract is about the meaning of those red lines. Any text that is underlined is outdated, i.e. this information has been struck from the register and thus no longer applies. This sometimes creates confusion because naive readers interpret such underlines as having the meaning “very important”, which leads them, of course, down the wrong path entirely. This red underline system, by the way, is also used by the German Land Registry. So if the Land Registry extract shows a mortgage which is underlined it means the mortgage has been deleted. The information as such is kept to show the history. The complete commercial register number of a business consists of the respective court, the type of register and the individual number. In the above example of the Company Projekt AG the designation is: “Handelsregister des Amtsgerichts München HRB 204447”, which translates as “Commercial Register of District Court Munich HRB 204447”. The abbreviation HR stands for Handelsregister, the letter “B” stands for HR section B, where limited liability companies and corporations are entered (GmbH’s and AG’s). There is also a section HRA for business partnerships (OHG’s, KG’s etc.). In other words: businesses in section HRB are limited liability companies, while businesses in HRA have personally liable partners. More information on German business law is available here: How to expand your business to Germany? The law firm Graf & Partners (Germany) has been assisting entrepreneurs and businesses with their international expansion to Germany since 2003. Also, we have an established network of professionals in the areas tax, IT, marketing and business consulting. The law firm Graf & Partners LLP will be happy to advise and assist in certain matters. However, please note that we cannot provide free advice but will charge legal fees based on time spent. 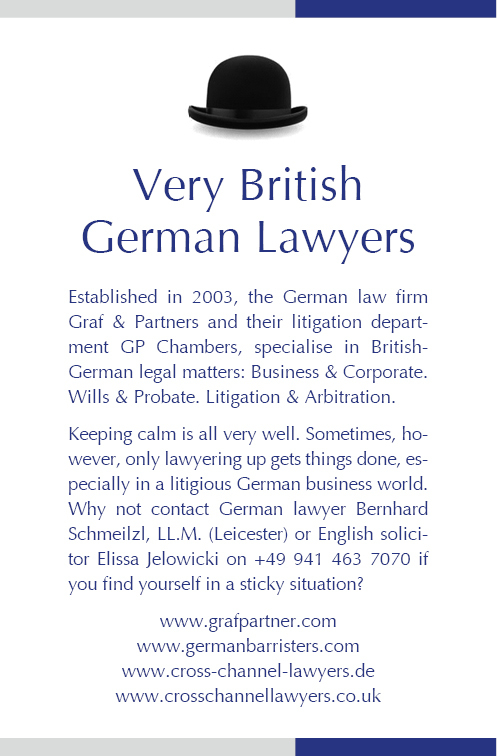 The law firm Graf & Partners and its German-English litigation department Graf Legal was established in 2003 and has many years of experience with British-German and US-German legal issues. If you wish us to advise or represent you in a German or cross border inheritance case please contact German lawyer Bernhard Schmeilzl, LL.M. (Leicester) at +49 941 463 7070.